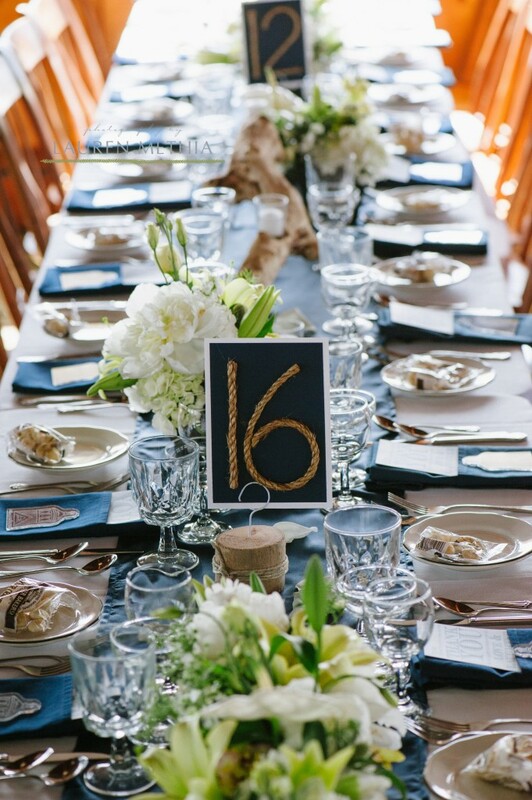 Unique nautical touches for a summer wedding in Cape Cod, MA. Navy & white, rope details, and tender beach grasses make this June wedding at the Lighthouse Inn in Dennis, MA one for the books. 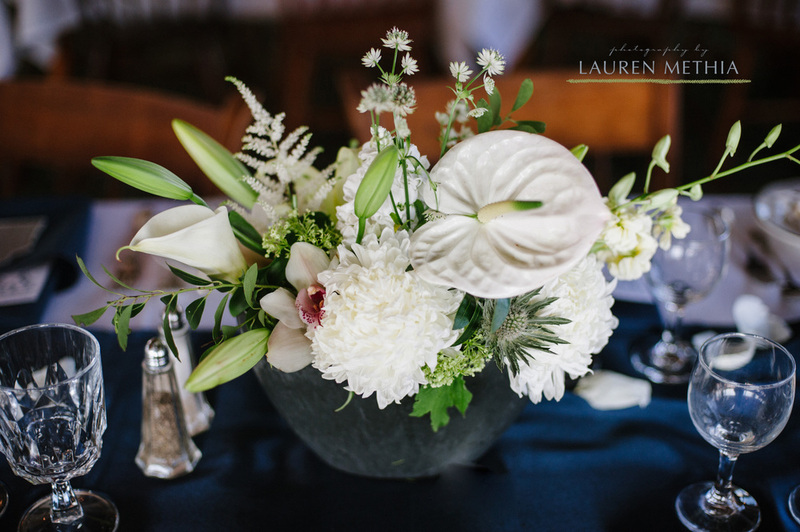 For the girls’ bouquets, Kelly married a chic, contemporary style with a classic New England air. 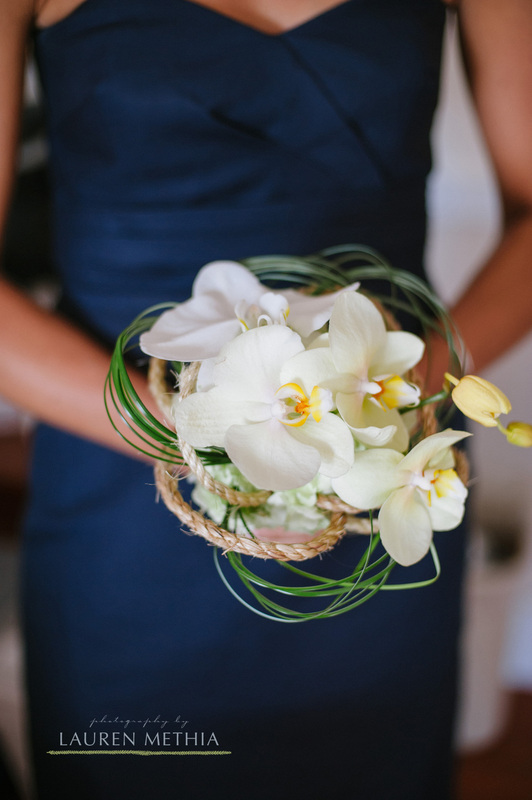 White orchids took center stage, emerging out of tightly looped sisal rope and beach grass. A simple handheld of white orchids was elegant with the bride’s textural gown. For the reception, navy table runners highlighted variegated white centerpieces with a mix of calla lillies, mums, cymbidium orchids, and anthurium.